although christy & kris were born and raised in hawaii, they seem to be san franciscans at heart. 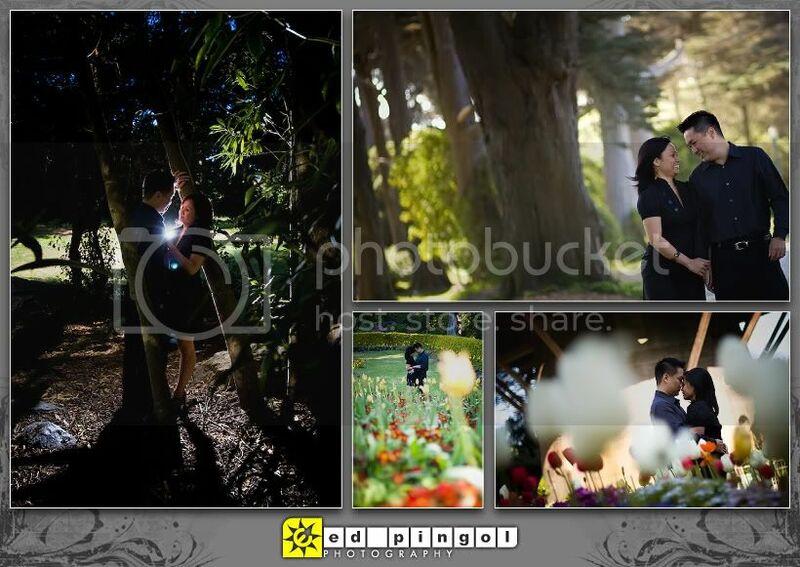 they love sf so much they actually flew from oahu to the bay for their engagement session. it's quite fitting for them to have traveled across the pacific for this occasion, since this is the city in which kris proposed to the lovely christy. they returned, this time, with their videographer, greg of advanced visual arts, who was able to record the photo shoot. with windstorms occurring the day before (literally, storms of wind brought down several trees at the locations we visited), we were quite fortunate that the winds had calmed down greatly for the engagement session. we started at the wilhelmina tulip gardens which are brilliant at this time in the year, before heading to stow lake's impressive waterfall. 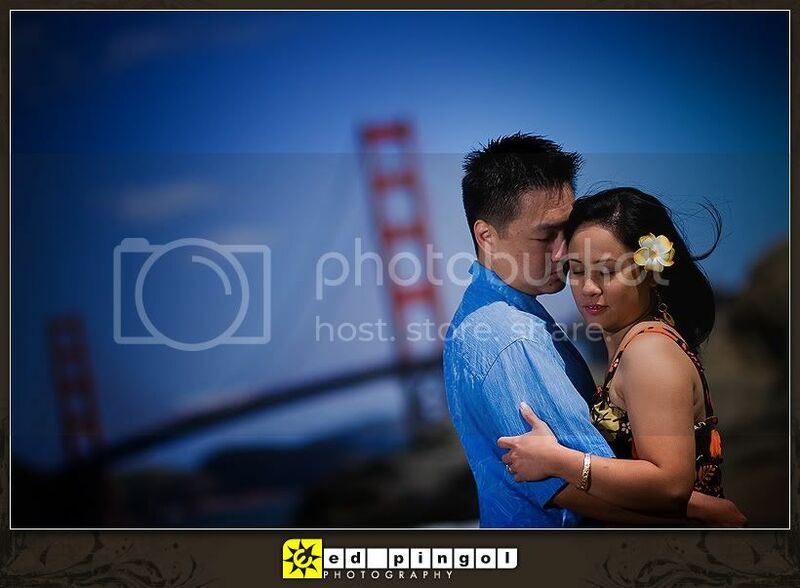 the weather warmed up nicely by the time we got to baker beach, where this beautiful couple were able to show off their hawaiian style in their beach outfits. congratulations on your engagement, christy & kris! 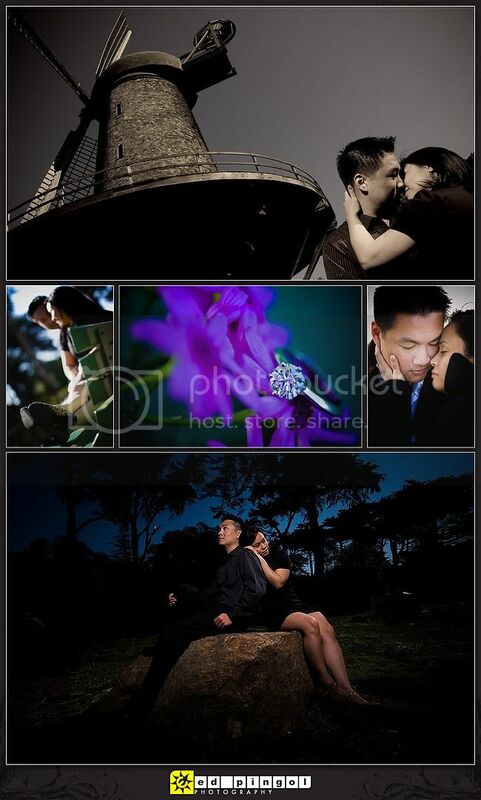 we can't wait for your wedding on oahu in july!